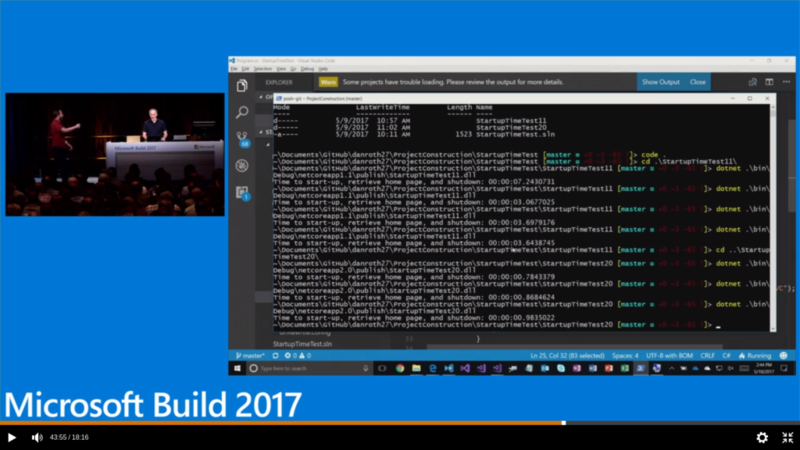 At Build 2017, there were a lot of new features announced for ASP.NET Core 2.0, .NET Core 2.0 and .NET Standard 2.0. The above is the real csproj for my dwCheckApi project, which is a netcoreapp1.0 (.NET Core 1.0) application with ASP.NET Core 1.0. * libraries. This is due to the magic of the AspNetCore.All package. Not only does AspNetCore.All include all of the packages required for ASP.NET Core, but it’s incredibly fast. So much so, that the speed of cold boots of ASP.NET Core applications have increased by a huge amount. 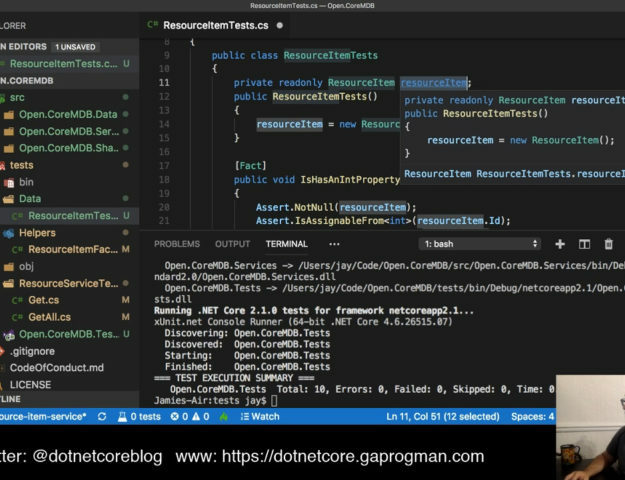 This was shown off at Build 2017 during a talk called “Introducing ASP.NET Core 2.0“ which was given by Scott Hanselman and Dan Roth. 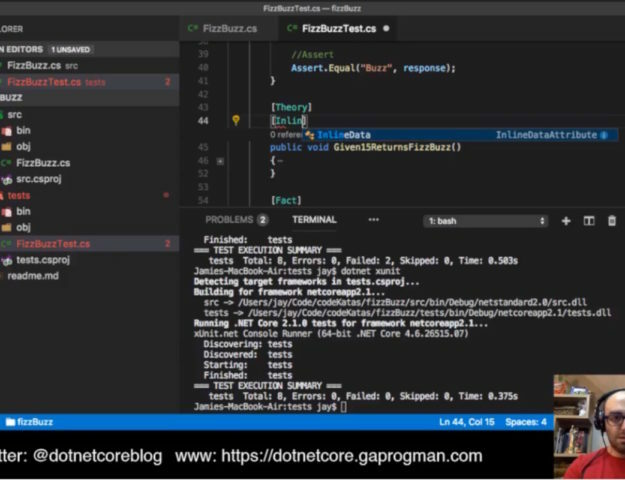 During the talk, Dan Roth showed the cold boot time differences between ASP.NET Core 1.0 and ASP.NET Core 2.0. We’ll start with the simplest example within the ASP.NET Core 2.0 Razor Pages template: the About page. technically the simplest example is the index page, but that’s a massive page. The About page is nice and short, but covers the core stuff. In the above screen shot, we can see an About.cshtml and an About.cs file – these are the files we’ll be looking at for our example. and treat it as a single MVC action. This means that ASP.NET Core can handle requests to the About URL with this new action without having to use a controller. To do this, however, the @page directive must be the the first line of the Razor Page. If the @page directive was placed anywhere else in this file, it would not work. the About.cshtml file would no loner bee seen by the compiler as a Razor Page, thus it would not be used to handle the request to /About. This would mean that the request is not handled and we would be re-routed to the Index page. That’s not technically true, since there is no action which matches the /About request, ASP.NET Core defaults to the /Index or root (i.e. /) action within the Razor Pages directory. The PageModel (which we’re inheriting from on line 5) provides us with a lot of the features that we would expect from a “traditional” MVC controller, and the source for it can be found here. remember, .NET Core is completely open source and fully hosted on GitHub. The OnGet method is used to handle GET Verb requests. You can add handler methods for any HTTP verb. You most frequently use an OnGet handler to initialize any state a needed to show the HTML and OnPost to handle form submissions. Razor Pages acts exactly like MVC does; this is because Razor Pages is part of it. But it’s C#. It’s Razor, it’s stuff that you already know. It’s fast, and it’s self contained. It’s a page model for MVC. You said, “new project web”. You got a startup, like two lines of code. And then there’s two options, you could say make a controllers folder, make a models folder, make a views folder, populate it with those things, and then hello world. Or you can make a Pages folder and put a page in it. Just add a page and then start writing. So think about this from a learning perspective, this is great. Then if you start saying I’ve outgrown pages, you don’t move to MVC. You just move things to a different way of thinking. The razor page exists, it can become a view. The code that you had in functions can go into a controller. You don’t have to have the C# code separated from the Razor Page itself, as you can build up everything you need in a single file. it’s beginning to look a little classic ASP.NET here, isn’t it? Just as Scott Hanselman says in the above linked talk (Introducing ASP.NET Core 2.0), this can lead to fully dynamic pages which are completely self contained. What we’ve done here is taken the contents of the About.cs file and added it to the Razor Page. We’ve taken a reverse approach to the way that Scott Hanselman recommends, because we know MVC so well but we don’t know Razor Pages that well yet. We also have to either delete the About.cs file or comment out its contents, otherwise the contents of the About.cs file will be chosen over the Razor Pages @functions block. Running the application with the debugger attached (i.e. in VS Code or full Visual Studio), and requesting the About page. Every time that you request the About page, the break point in About.cshtml.cs will fire, whereas the break point in the @functions block of the About.cshtml file will not fire. So Razor pages work like any other MVC view, except that they’re found (by default) in a Pages directory, as we’ve seen. Because they work with standard MVC, we can use them when we have a _Layout.cshtml file which has a @RenderBody method within it. 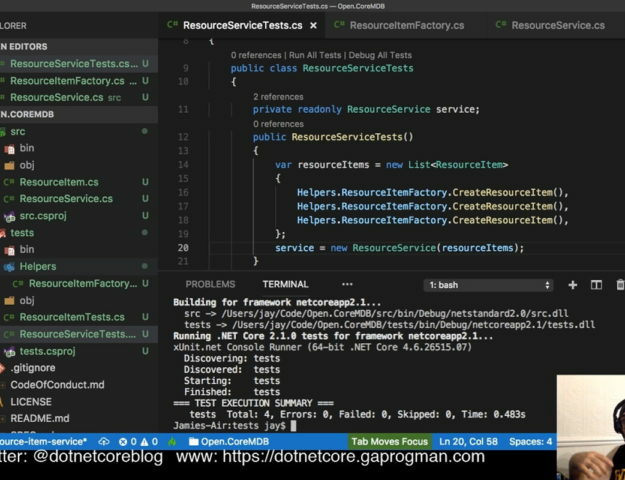 However a few days before I wrote this blog post, Damien Edwards set about the task of converting the code behind live.asp.net to .NET Core 2.0 and to Razor Pages, which he live streamed on Google Hangouts and uploaded to YouTube. During this live stream, he encountered a bug with using Model members in Razor Pages which were being consumed in a _Layout.cshtml with an @section Scripts block. you expected a preview build of something to be free of bugs?! An issue has been raised, and you can track it’s progress here. Looking through the conversation on the issue, it looks like it’s been confirmed as working in ASP.NET Core 2.0 preview 2. We’ve seen some of the new features of ASP.NET Core 2.0, including the cold boot speed increases and Razor Pages. We’ve also seen how the preview build of ASP.NET Core 2.0 has, at least, one pretty serious bug in it. 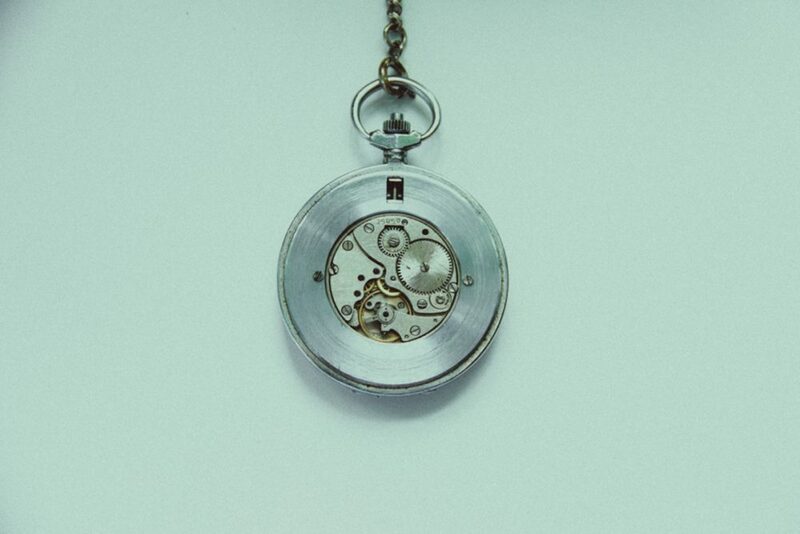 We’ve also seen, by checking the status of the bug that Damien Edwards reported on GitHub, how quickly issues in the ASP.NET Core (or indeed .NET Core) stack can be investigated and solved. Razor Pages, at least, seems like an interesting addition to the ASP.NET Core stack. One that will find its niche once developers start playing with it, I’m sure. Have you used Razor Pages for any test applications yet? If so, are they open source and can we all take a look at them? If not, it’s worth checking out the docs.microsoft.com page for Razor Pages, maybe it’ll give you some ideas for where and how you can use them.